The Walla Walla Valley is one of the top producing AVAs in the state of Washington. It extends into the northeastern part of Oregon, which is where I grew up. Right there, in the middle of what just recently became known as The Rocks District AVA in Milton-Freewater, Oregon, is where I spent the majority of my childhood. Who knew it would become a famous wine growing region? Back when I lived there, it was all apple orchards and the almost-as-famous Walla Walla sweet onion fields. Now, my parent’s house is mere steps away from one of the most prestigious vineyards in the area – Cayuse Vineyards. By the way, just in case you’re curious, The Rocks AVA is part of the Walla Walla Valley AVA, which is actually all part of the larger Columbia Valley AVA that spreads across most of the southeastern 2/3 of the state of Washington. If you’re a wine lover, and you haven’t heard of this area, take note. Not only is there an abundance of amazing wine in Walla Walla, it’s a quaint small town that practically exudes charm. There are so many wineries in Walla Walla that the wine tasting areas are split into five different areas. You have the Westside, Eastside, Southside, Downtown and Oregon wineries. Each of these separate areas holds more wine tasting possibilities than you could do in a while week’s worth of tasting. We’re talking more than 100 wineries in total. Some areas have over 20 wineries you can visit. Since this is obviously too many wineries to get to in a weekend, you’re going to have to pick and choose. Perhaps you choose an area of town and focus your attention there, or perhaps you jump from area to area looking for specific varietals you like. However you choose to do it, you’ll surely be overwhelmed with choices. Being the really cool people that we are, we’ve done all the hard work of tasting and trying all of these wines for you, so we can break it down for you and offer up suggestions of the best of the best. This has taken many years worth of wine tasting in Walla Walla and sampling wines from the region at dozens of local wine festivals. We’ve got it all here for you! Some of Washington’s most sought-after cult wines come from the Westside Wineries. Back in the 1980s, three popular wineries sort of started it all for Walla Walla. These wineries are Leonetti Cellars, Woodward Canyon and L’Ecole No. 41. Today, these wineries still have some of the area’s best wines. Woodward Canyon and L’Ecole are both located in the Westside, which stretches quite a ways out of town on Highway 12. If you’re going to make the trek out to Woodward Canyon, you’ll want to stop at a few of the others in the area, because it’s not exactly a quick trip from town. Other wineries on the West side of town include Long Shadows Vintners and Waterbrook Winery, Three Rivers Winery and Cougar Crest. All of these wineries are worth a visit. Long Shadows Vintners is a unique concept. It isn’t just one winery, but a conglomeration of seven of the world’s most acclaimed winemakers from around the world who have come together to produce ultra-premium wine in Washington. Most of the Eastside Wineries are located near the airport in WWII-era military buildings that have been converted to warehouse space. The airport wineries now number in the dozens, with even a brewery and a distillery thrown in. If you can, be sure to visit the first commercial winery in Walla Walla, Leonetti Cellars, opened in 1977. Other wineries to hit up in the airport district are Dunham Cellars, Corvus, Revelry and aMaurice. An innovative way of helping fledgling wineries get started is the Wine Incubator, which acts as a launching point for new wineries to get their feet on the ground, until they reach the 6-year mark. We’ve seen a few come and go from the cute school-house looking buildings in the incubator. Right now, there’s even a new brewery. The Burwood Brewery tasting room offers beers by the pint and growler, as well as a taster tray. Most people stay downtown when they visit Walla Walla. There are a number of good hotels, the best of which is The Marcus Whitman Hotel, which is located right in the middle of town. It is a fantastic place to stay if your main pursuit is wine tasting. Just below the hotel is a handful of tasting rooms, like Tero Estates and Locati Cellars. Just across the street from the hotel is another stretch of winery tasting rooms. One of our favorites is Spring Valley Vineyards. The story behind the winery is really unique and local. All of their wines are named for the family members who once farmed the land where the vineyards are now located. Right next door to them are Trust Cellars and Sweet Valley. If you have the fortitude, there are a handful of others on the same street. While you could spend all of your tasting time just on that one street, you’d be remiss not to venture out to other wineries downtown, like Charles Smith, Otis Kenyon and Mark Ryan. All are located within a few blocks of each other. You can’t go wrong with any of them. Another thing to note about Downtown is that this is where you’ll find pretty much the only food options in the tasting areas. Sometimes a food truck or two will show up in the other areas, but there aren’t any restaurants, except for downtown. We love to go to Saffron Mediterranean Kitchen for lunch in the middle of our tasting spree for a couple of their delicious tapas. They don’t open until 2pm on the weekends, but it’s well worth the wait. Other great options for lunch are Brasserie Four, Graze and Public House 124. My sister would want me to tell you about Bacon & Eggs too, so check that out for breakfast or lunch as well. She loves it. Saffron Mediterranean Kitchen serves amazing tapas and flatbreads. Whitehouse-Crawford serves seasonal, hyper-local cuisine. For dinner, you can’t beat Whitehouse-Crawford, in the remodeled 1904 sawmill just a block from The Marcus Whitman. They have a small menu, but that won’t matter because you’ll go there for the wine-paired tasting menu. As you’re headed out of town toward the Oregon border, you’ll come upon the Southside Wineries. This is always my favorite area in Walla Walla for wineries. It’s a bit more of a countryside feeling. You’re driving on backroads, following signs to the next winery and the next winery after that. Generally, on the southside, the wine production happens on-site, as opposed to the downtown wineries, so it feels more like an authentic winery experience. Our favorites in this area are too many to name. Just about anywhere you try is going to have great wines. If I had to pick only six (which is about the max you can taste through in a day if you’re sharing a glass), I would go to Northstar, Pepperbridge, Balboa, Saviah, Tertulia and Dusted Valley. Northstar has the best Merlot around. Their Merlots are consistently top rated (over 90+) from Wine Spectator and The Wine Advocate. We like to taste the Walla Walla Valley and the Columbia Valley Merlots side by side to truly see the uniqueness of the Walla Walla Valley grapes. At Northstar, you can also participate in a hands-on blending where you’ll make your own blend to take home. There aren’t a lot of wineries on the Oregon side of the border, but now that The Rocks AVA has started gaining notoriety, there are a handful and a few more are probably on their way. Some of the Oregon wineries are located just across the border from the Southside Wineries, and you may not even know you’re actually in Oregon. Castillo de Feliciana Vineyard and Winery is one of those, and so is Basel Cellars Estate Winery. I highly recommend a stop at Basel Cellars. They sometimes close down for private events, but when they’re open, you’ll want to stop by for a look at the castle-like house that was once a hidden legend in Milton-Freewater, Oregon, where the winery is located. Back when it was built in the 90s, the owners were very secretive about it and built high trees around it up on the hill to hide it from passersby. After a messy divorce, the house was finally turned over to Basel Cellars, who now rent it out for private events. If you venture a little farther into Milton-Freewater, you’ll find Zerba Cellars located along the highway, and Spofford Station and Watermill Winery are just a bit further into the town of Milton-Freewater. The abundance of Walla Walla wineries is astounding. I guarantee you won’t run out of great places to taste. We go back at least once or twice a year and rarely taste at the same places twice (except our favorites, of course!). If you’re into wine, even a little bit, you’ll love the Walla Walla wineries. Give it a try. 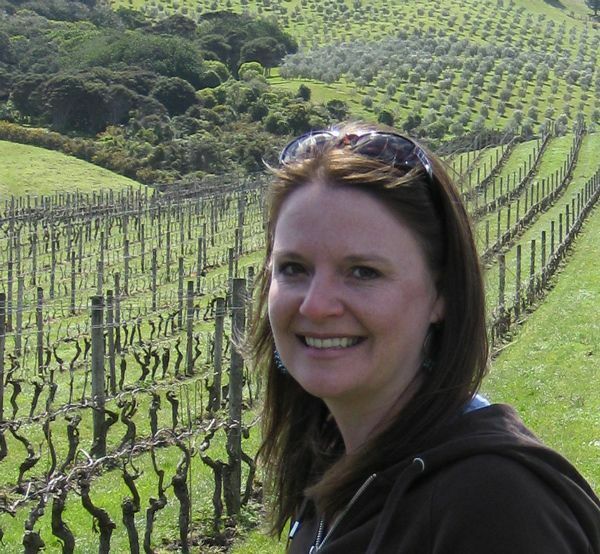 This entry was posted in Wine and tagged Walla Walla, Washington, wine. Rob, I know it’s sounds crazy. I never thought Milton-Freewater would be anything but a blip on the map. Now look at it! I have to admit first I’m not a drinker, so excuse my wowness when I say I didn’t realize Washington had all these wineries! I live in CA, so of course you know that is all I hear about. I am always on the lookout for some cool new wines to gift to people – I will check to see if some of these are at our local wine shop! I’m sure a lot of people don’t realize how many wineries there are now in Washington. It’s a not-too-distant runner up to California now. We live not too far away in Yakima, and while we have visited Walla Walla, had no idea there were so many wineries! We love driving down from Seattle through Yakima and Prosser. There are so many great wineries along the way. You have all the hops in Yakima! My palate still cannot tolerate wine, by 30 i thought i would like it but i wish i did! I’m not going to lie, you definitely got me with the looney toons comment. The very first thing I thought of when I saw Walla Walla was Daffy Duck… Clearly there’s much more to this lovely place than fowl traveling salesmen. Isn’t that great?! I’ve always loved that reference. Walla Walla was also referenced on Wheel of Fortune once. Ahhhhh! So cool! I didn’t know Walla Walla was also home to ACME! Before I even got into the wineries I was already sold. Being a wine enthusiast myself, I’m familiar with the area. Northstar does indeed produce one of the most delicious Merlot’s in the area, good idea to compare them to Columbia Valley. I was not aware you could craft your own blends at the winery though! Given the number of wineries, I’ll definitely need to plan a week long trip to the area. I refuse to just do a few if I’m traveling all the way to the Pacific Northwest! If you’re going for a longer time, I would suggest driving up through Tri-Cities, Prosser, Zillah and Yakima too. There are some great wineries the entire way up! You could easily spend a whole week touring wineries. We also tasted at wineries in South Africa and I have to say I prefer that experience over most of the wine tasting in the States. The estates we visited in South Africa were so amazing and hospitality was their top priority. I’ll be there this May. So looking forward to the trip!! Perfect timing-saving this post. Awesome! You’re going to love it. Let us know if you need any more recommendations. what a great post! until this moment I always thought Washinghton area is all about busy working people 😉 just kidding ofc.. Although I am avoiding alcohol heavily and drink the vine occasionally only, now I really feel like getting myself a glass of white wine 🙂 Luckily, I have the Xmas markets right across the street 🙂 Greetings from clod Czech Republic! I love wineries. I live down the road from Martinborough in NZ and love to do a tasting! Anita, we did some wine tasting on the North Island a few years ago and loved the experience. I’d like to try other areas in NZ too! I didn’t know this was a wine region, it’s great to learn about it! I like wine, but growing up in Italy I confess I was a wine snob for a very long time and wouldn’t really give a chance to anything non European ? Now I still love Italian wine but always visit wine regions when abroad and found some great wines! Walla walla sounds a great stop: between the wine and the looney toons connection, sounds fun for my kids too! We get that way a little with Washington wine too. We have to sometimes force ourselves to branch out. We’re going to Italy in March to explore some of the wineries there! The looney toons reference definitely made me laugh! I never knew there were so many wineries in that area. I absolutely love wine so the idea of touring around visiting different wineries is high up on my ideal things to do list! Who knew Washington would have winearies he? Reminded me a bit of Mendoza in Argentina. Oh, I LOVE Mendoza. I could definitely live there and never grow old of the wine options. We love to stop by wineries whenever we find one exactly for that reason. It’s just another aspect of a place to explore! Cult wines are not something I’ve come across before, but the boutique feel of the vineyards you’ve mentioned sounds fab. I have to admit I’m someone who chooses their wine based on label design alone! A marketer’s dream! Walla Walla sounds like a great region to whet your appetite for wine, thanks for the virtual tour. Yes, a marketer’s dream! There are some pretty cool labels out there. This looks like an amazing wine destination. And I love the connection to Looney Tunes – I wonder if anyone has thought about doing an animation inspired wine label? That’s actually a really great idea! I haven’t seen any. It’s strangely a little-known factoid, even in Walla Walla. I’ve spent a lot of time exploring California’s wine country and it would be great to get up to Washington and see the difference of what they are doing up there. Thanks for the tips. You’re right, I haven’t heard of Walla Walla Wineries – most likely because I am not well versed in the area 🙂 But it all does sound right up my alley and something like I would just love to experience. I love that you visited wineries in the winter time too, judging by the photos 🙂 I love doing that here in the Niagara region. So cozy!! I’ve never heard of Walla Walla, but now I want to visit! I can’t believe how many wineries are in the area–they all look fantastic! Fun to see a brewery in the mix as well 🙂 Sweet Valley Winery looks adorable–I love the style of the shop! Sweet Valley is a great winery. You’d like the downtown area, if that’s your style of shop. It’s packed with tasting rooms! Somehow I didn’t think of Washtington and Oregon as great wine countries. I’m heading over there next year and will definitely keep this in mind when planning! You will be really surprised then, Antonette, when you get here! The Columbia Valley and the Willamette valley are packed with wineries and vineyards. I’m a wine lover, but I haven’t heard of this area. I already want to go to this place. I’m sure this is a real paradise for lovers of good wine. Walla, Walla Wineries… See you soon!!! I grew up in the Walla Walla area, so I’m always happy to introduce others to it. It’s a very nice wine region.